The MARCH Centre at LSHTM held its biennial Research Retreat at the Wellcome Trust. Prof Prentice leads the Children’s Theme for MARCH. Over 100 scientists attended a highly successful week-long Nutrition Theme Annual Meeting in Keneba. MRC Keneba has been awarded capital funds for a new 12-room Visitor and Training Unit that will greatly enhance our capacity to train young scientists from the region and worldwide. Funded from external grants four new staff houses have been completed in double quick time helping to ease our acute accommodation crisis. Feb 2016 – The Keneba Biobank, launched in May 2012, has now reached a significant milestone recruiting 10,000 participants from across the Kiang West district of The Gambia. Developed as a research platform for health related research in the region, the study collects biological samples including DNA, supported by anthropometric, body composition and blood pressure measures, and questionnaire information on all participants. We thank the Keneba Biobank Team for their hard work and most importantly all study participants from Kiang West, without whom this sizeable undertaking would not have been possible. Nov 2015 – Prof Jim Smith, Deputy CEO and Chief of Strategy at MRC and Research Director at the new Francis Crick Institute in London made an official visit to MRC Unit, The Gambia. This included a field trip to MRC Keneba during which, among many other activities, he was presented with a fine goat by villagers. As aviation rules prohibit the carriage of live goats Jim will always be welcome to return and visit his prize. Nov 2015 – The MRC has been working in Keneba and surrounding villages in the Kiang West region of The Gambia for almost 70 years. This integration of research and health care provision for the whole population is summarised in a cohort profile recently published in the International Journal of Epidemiology. The paper describes the collection of longitudinal multi-generational data, our linked database systems and research platforms including the Kiang West Demographic Surveillance System (KWDSS), the Keneba Electronic Medical Records System (KEMReS) and the Keneba Biobank. Nov 2015 – TEDxLSHTM: Epigenetic Echoes of Your Mother’s Diet.You can follow Andrew Prentice’s TED talk at LSHTM here <https://youtu.be/32t098-z-mY>. Nov 2015 – MRC Unit, The Gambia has been awarded a $1.7m grant by the Bill & Melinda Gates Foundation under their Grand Challenges scheme for New Interventions for Global Health Pilot Awards. This will support field trials, led by Dr Dora Pereira, to test the efficacy and safety of iron hydroxide adipate tartrate (IHAT) – a novel iron compound recently awarded the Royal Society of Chemistry Emerging Technology Award. We anticipate that this will provide a safer means of combatting pervasive iron deficiency in low-income settings. The trial will be conducted in children living in the Upper River Division of The Gambia. Oct 2015 – A satellite meeting of the World Congress of Public Health Nutrition (WCPHN) was co-hosted by MRC Unit, The Gambia and CREN (Centro de recuperación y educación materno-infantil) in early October. The main session, chaired by the Gambia’s Vice-President Her Excellency Aja Dr Isatou Njie-Saidy with the Minister of Health and Social Welfare, The Hon Dr Omar Sey discussed the integration of nutrition-related research, policies and interventions across governmental and non-governmental institutions. Delegates then joined field trips to MRC Keneba and the CREN centres for treatment of severe malnutrition in Soma and Basse. SEPT 2015 – Research led by our colleagues Dr Sarah Lloyd-Fox (Birkbeck University, London) and Prof Clare Elwell (University College, London) has been featured in The Psychologist. 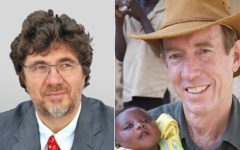 Funded by the Bill and Melinda Gates Foundation the work uses a novel technique – functional Near-Infrared Spectroscopy (fNIRS) – to make objective assessments of how the brains of young children have been affected by malnutrition. ve shown that despite the possibility that iron supplementation in pregnancy might slightly raise the risk of malaria there was a major benefit in increasing babies’ birthweight especially in women who were iron deficient. This question has remained unresolved because few previous studies have employed a placebo group that did not receive iron. SEPT 2015 – “100 trillion cells. 280 days. One human life…” A major new BBC TV series to be broadcast during September 2015, “Countdown To Life: The Extraordinary Making Of You” http://www.bbc.co.uk/programmes/b06crff1 describes how critical events during the 9 months of fetal life can influence health throughout the life course. The series begins with a visit to MRC Keneba and highlights ING research on how maternal nutrition around the time of conception influences the offspring epigenome with potentially long lasting consequences for human health. An international version of the programme is to be broadcast worldwide later in the year. SEPT 2015 – In the opening Keynote Lecture at the 6th International BioIron Symposium in Hangzhou, China, Andrew Prentice described how novel molecular discoveries in iron metabolism are being rapidly translated to give transformatory insights into the challenges of correcting iron deficiency in poor populations. SEPT 2015 – Data from our Gambian studies have been combined with datasets from Europe and Oceania to reveal major seasonal influences on a host of genes especially those related to immune function. Dopico et al describe in Nature Communications how the immune system has a profound pro-inflammatory transcriptomic profile during winter, with increased levels of soluble IL-6 receptor and C-reactive protein, which are risk markers for cardiovascular, psychiatric and autoimmune diseases that have peak incidences in winter. JUNE 2015 – ING researchers together with an international team of collaborators have shown for the for the first time that a mother’s environment around the time of conception could permanently change the function of a gene influencing immunity and cancer risk in her child. The gene called VTRNA2-1 is a tumour suppressor gene that also affects how the body responds to viral infections. Its DNA methylation state was shown to be associated with Gambian season of conception and maternal periconceptional diet is likely to play a role. This paper has already achieved the journal’s ‘highly accessed’ status. MAY 2015 – The award will fund research looking for epigenetic changes in infants who took part in pre-conceptional supplementation trials in The Gambia and in India. Significant changes will be correlated with a range of health-related outcomes including changes in body composition, cardio-metabolic risk markers and cognitive function. A major strength of the study will be the ability to compare findings across Indian and Gambian cohorts. The grant for £925,000 was awarded by the Newton Fund in a joint initiative funded by the MRC, the Indian Department of Biotechnology and the UK Department for International Development. The study is led by Professor Caroline Fall from the MRC Lifecourse Epidemiology Unit at the University of Southampton, UK, with Co-PIs Dr Giriraj Chandak from the Centre for Cellular and Molecular Biology, Hyderabad, India and Dr Matt Silver from ING. JAN 2015 – The MRC grant for £840,000 will be used to build on existing work [link to: http://www.nature.com/doifinder/10.1038/ncomms4746] linking maternal nutrition and season of conception with offspring DNA methylation. The grant will allow researchers to interrogate the epigenomes of Gambian infants at high resolution and look for changes associated with the season in which an infant is conceived. Researchers will also perform follow up studies to determine the functional effects of a gene recently identified as being sensitive to Gambian season of conception. JAN 2015 -The Bill and Melinda Gates Foundation’s ‘Grand Challenges Explorations’ awards target innovative approaches to tackling some of the world’s greatest health challenges. Cholesterol is usually viewed in negative terms but recent research has shown it may be crucial to normal fetal development. In collaboration with Prof Laura Woollett from the University of Cincinnati and MRC Human Nutrition Research, and using samples and data from the ongoing ENID Trial, we will use this award to determine the relationship between maternal cholesterol levels during pregnancy and infant birthweight or prematurity in The Gambia. 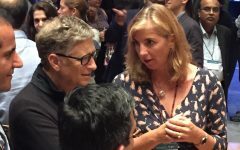 The Bill and Melind a Gates Foundation’s “Grand Challenges in Global Health” (GCGH) program [link:http://gcgh.grandchallenges.org/Pages/Default.aspx] aims to foster scientific and technological innovation to solve key health problems in the developing world. Among other highlights at the 10th GCGH Symposium in Seattle, Mr Bill Gates showed keen interest in Clare Elwell’s poster describing collaborative work with ING to validate functional near infra-red spectroscopy (fNIRS) to assess cognitive function in Gambian children. 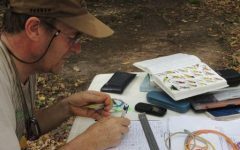 After 15 years as the leader of ING’s data bases and statistics Tony Fulford has opted for early retirement in order to concentrate on his ornithological research. We owe a huge debt to Tony and wish him many discoveries and much satisfaction in his new career. After sterling service as our Head of Station in Ke neba we congratulate Sophie on her appointment as Group Leader in Maternal and Child Nutrition at our sister unit MRC Human Nutrition Research in Cambridge. Sophie will continue to lead our sub-theme on Early Growth and Development until we recruit her replacement and will be an integral part of ING’s work into the foreseeable future. On Tuesday 28th October the Royal Society of Medicine will host a one day meeting on ‘The Four Horsemen of the Apocalypse’ https://www.rsm.ac.uk/events/ptf01.aspx: Death, War, Pestilence and Famine. Andrew Prentice will speak about Famine. 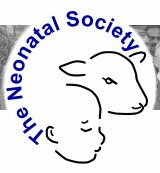 http://www.neonatalsociety.ac.uk/about/widdowsonlecture.shtml will be given this year by Andrew Prentice at the institute of Child Health, London on 18th November. His topic is: Conceptions, pregnancies and neonates: Lessons from rural Africa. The meeting is free and open to all. 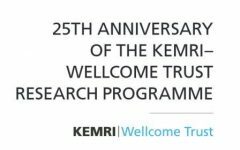 Congratulations to the KEMRI Wellcome Trust Research Programme, Kilifi, Kenya on their 25th Anniversary. Their work is summarised in this anniversary brochure and in these two short films goo.gl/9GrGJy and goo.gl/P3QUjO. Research led by our collaborators Carla Cerami and her team at University of North Carolina, and published this week in Nature Communications (“Host iron status and iron supplementation mediate susceptibility to erythrocytic stage Plasmodium falciparum”), demonstrates that iron supplementation increases blood-stage growth of the malaria parasite Plasmodium falciparum. The effect is caused by the appearance of reticulocytes and large young red blood cells most favoured by the parasite. The transient nature of this enhanced susceptibility suggests that malaria prophylaxis should be given at the start of treatments involving iron in malaria endemic regions. In a landmark study, researchers at ING along with collaborators in the US and Canada have demonstrated that variations in maternal diet at the time of conception affect DNA methylation at specific genes in their offspring. The study published this week in Nature Communications indicates that a mother’s diet causes persistent modifications to the DNA of her children. These modifications can affect gene expression, with the potential to influence growth, development and health in later life. Congratulations to Modu Jobe on the award of a prestigious Wellcome Trust Masters Training Fellowship in Public Health and Tropical Medicine. His research topic will be: ‘Metabolic endotoxemia as a mediator of insulin resistance and diabetes in obese African women’. Following their successful bid for renewed funding (2014-2019) the MRC International Nutrition Group (based at the London School of Hygiene & Tropical Medicine and at MRC Keneba) will become fully integrated into the MRC Unit, The Gambia. Nutrition will become a fourth theme within the Unit and will continue to be led by Professor Andrew Prentice. The merger is intended to build upon the many synergies that already exist and to accelerate the Unit’s translational science aimed at building the evidence base for interventions to save lives and improve health across the developing world.